. إن Portobello By The Sea Hotel حريص على توفير الراحة للنزلاء، فلا يوفر الموظفون جهداً في تقديم أفضل الخدمات وضمان حسن الاستقبال. يمكن لضيوف الفندق الاستمتاع بالميزات التالية على أرض الفندق: واي فاي مجاني في جميع الغرف, خدمة التنظيف يوميًا, مرافق مخصصة لذوي الاحتياجات الخاصة, تسجيل وصول/خروج سريع, تخزين الأمتعة . ادخل إلى واحدة من الغرف 55 وتخلص من عناء نهار طويل بمساعدة مجموعة كبيرة من الخدمات كمثل شاي مجاني, مناشف, قهوة فورية مجانية, تلفزيون بشاشة مسطحة, حوض الاسترخاء الموجودة في بعض الغرف. إن مسار جولف - ضمن 3 كم, حمام سباحة خارجي, مسبح (للأطفال), حديقة هو المكان الأمثل في الفندق للاسترخاء وتفريغ طاقتك بعد نهار طويل. إن كنت تتطلع إلى إقامة مريحة وهادئة في صن شاين كوست، فستجد في Portobello By The Sea Hotel بيتك الثاني. Friendly staff more than accommodating. Location was good however the unit was dated and in need of upgrade. Carpet in bedroom was stained and worn and main bathroom smelt and had an ant infestation in the shower. Staff went out of their way to advise us that room was ready as I had to have day surgery. 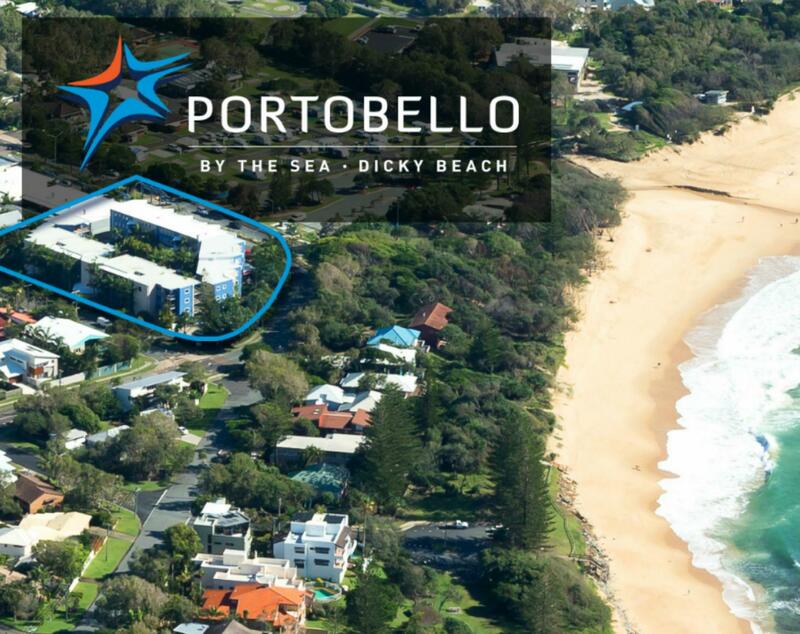 This was our second stay at Portobello, we love this place....it has location, it's not too noisy and there is just a quick hike to the beach, with local facilities (surf club bistro, chemist, restaurant etc) nearby. We usually have a car when we stay, so access to the other beaches is easy. My only issue was with the hired umbrella, boogie boards etc - they are very low quality....but only $5 per day for the boards and $5 per stay for the umbrella...not bad. Friendly reception, lots of information - we will plan to be back again, love Dicky Beach. Have stayed here many times and are always very satisfied with the whole complex. 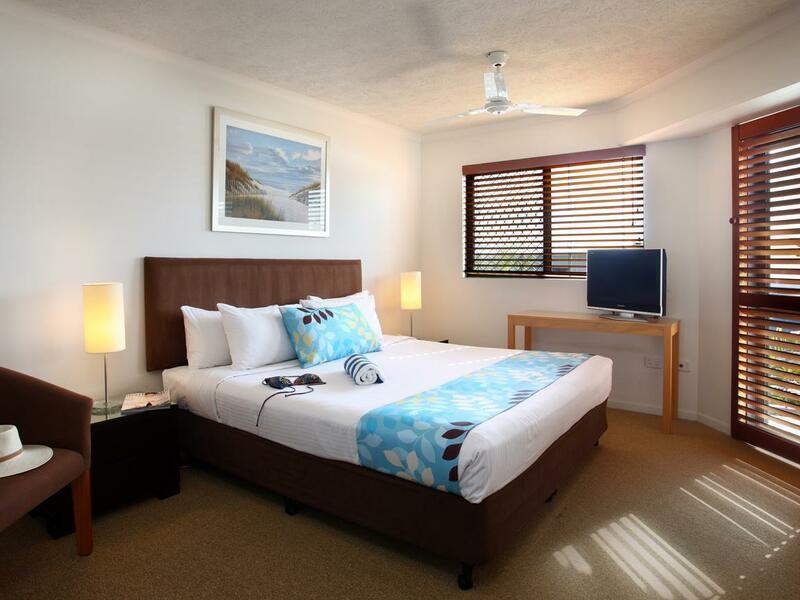 The apartments are very clean and well equipped and very comfortable. They have new management in on this stay, Frank and Michelle were very helpful and very pleasant to deal with. The location is very central for all attractions up the coast and easy to negotiate. The only negative we have is that the wifi (which you have to pay for) was not good - it kept dropping out and was extremely slow. I do not mind having to pay for something if the quality is good. This does need to be addressed. Otherwise no complaints and will definitely be staying again in the very near future. 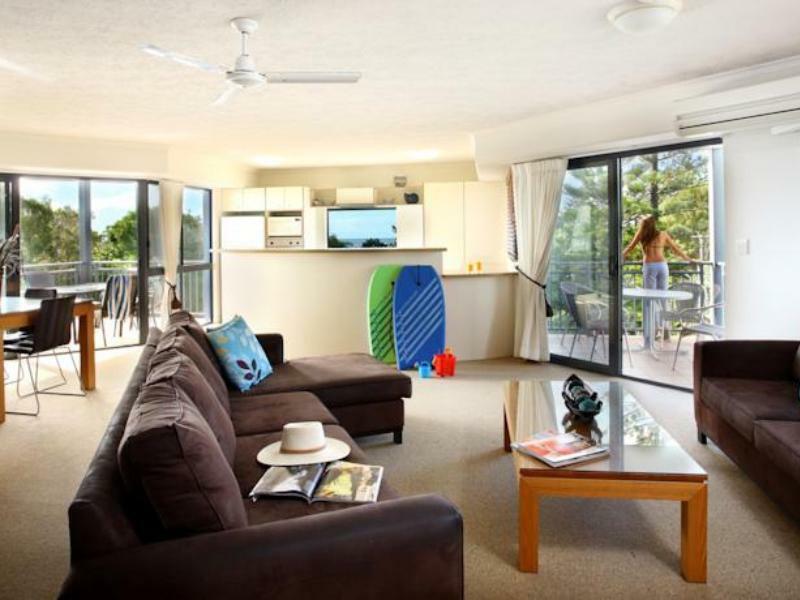 Fantastic apartment hotel at Dicky's Beach. 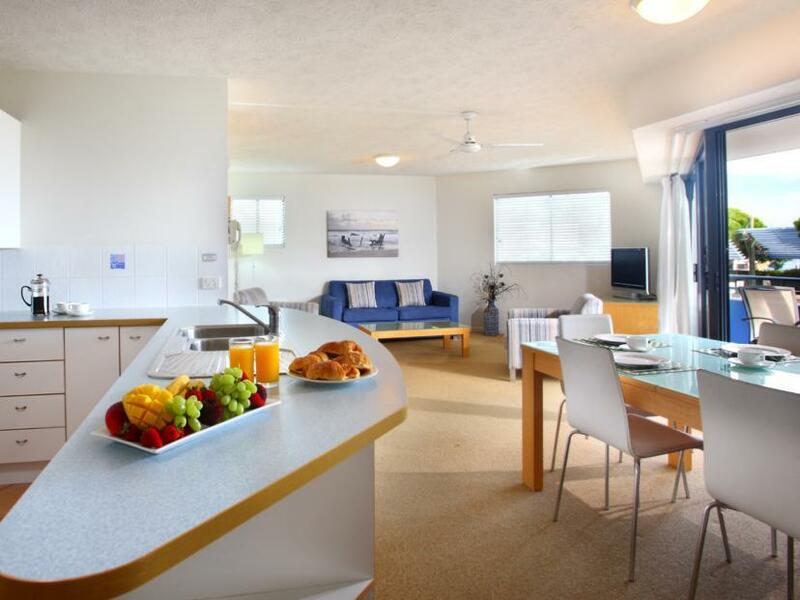 The one bedroom apartments are huge with a full kitchen, dining table, lounge area and great big bathroom. The hotel is one of the cleanest I've stayed in. The staff are fantastic - really helpful and friendly. Thank you and we will be back! Very pleasant stay, friendly staff, bed not so comfy but everything else was great and affordable. The bed in the main bedroom was average but other than that our stay was great, really resturant next door (Table Manners), surf club and 3 cafés side by side. Overall we our room was great and decided to stay an extra night. Lovely. The only negative comment I have was the fact that there was no lift available in the building we stayed in. We were on the third floor and had to carry all of our luggage, groceries, etc. up three flights of stairs and down again upon vacating. Neither of us are what you would call young or fit, so that was not much fun. I could not imagine elderly folk doing this. Our Stay was very good. 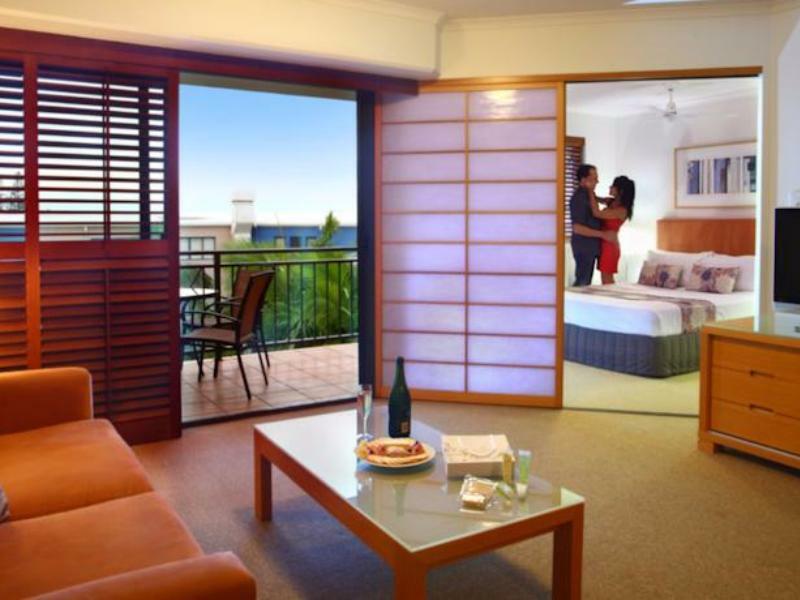 the one bedroom apartment is spacious with good size balcony view over pool. has a good size kitchen and utensil, dvd and good air conditioning. no free internet and no daily room service which would have been a good benefit to our stay. nice location across from beach. Close to the beach, Shops (pharmacy, bakery, mini supermarket) all at door step! we had 2 young kids (5yrs and 2yrs), and stayed for 2 nights. apartment was well kept and kitchen well equipped. it wasn't stated in the website, so we were glad that there was a washer and dryer. great location! bought fresh bread from the bakery, milk and juice from iga express just beside the hotel. we bought groceries from currimundi markets which is just a short drive away. really can't get any more convenient! the only downside was that only one block had an elevator. it wasn't our block, so we had to heave our luggage up 4 stories. We really enjoyed this 3 day weekend break. We parked our car in secure undercover parking and left it there until we were ready to leave. Unfortunately we didn't have a beach view but our unit did overlook the pool which was nice. Everything we needed was literally only minutes walking distance. We stayed in a 2 bedroom self contained apartment. It was very clean and tidy. All facilities in great working order. We loved the kitchen with full sized fridge/freezer, working oven and microwave, plenty of pots/pans/etc. Excellent cafes & takeaways in walking distance. Beach right across the road. The kids loved the pool. No complaints at all. Overall we had a very relaxing stay & we'll definitely be back!